I have always been passionate about travel and food. A large part of the storytelling that I do on my blog is the result of the places I get to visit, which ultimately translates into a better understanding of the different cuisines and cultures. 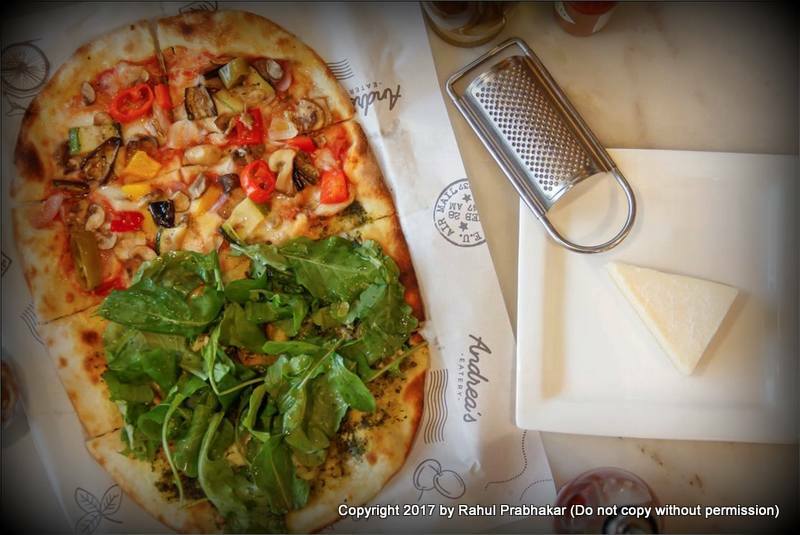 This week I stopped by at Andrea's Eatery, a modern yet classic European bistro in the heart of Select Citywalk mall, Delhi. By a strange coincidence, I had been meaning to visit this outlet since its opening in December last year! 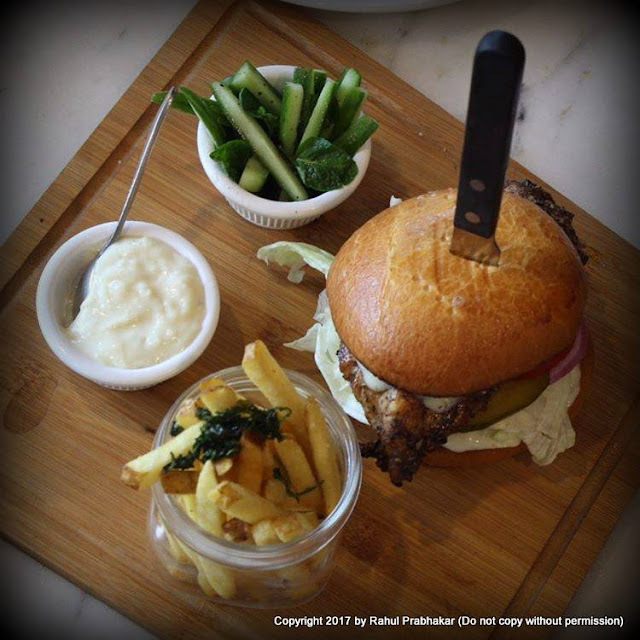 The bistro gets its name from Andrea Pauro*, a gourmand and an avid traveler with an Indian, Italian background. 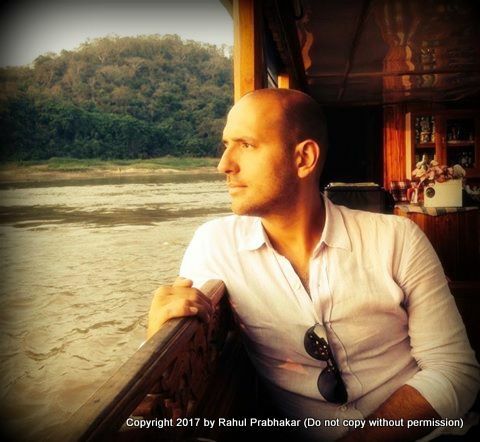 Andrea's love and passion for global food grew as he traveled across the length and breadth of Europe, Middle East, and South East Asia. By opening this quaint, lil eatery in Delhi's busiest shopping mall, Andrea introduces a travel inspired menu that aims to celebrate flavor, drama, and freshness, inherent to different cultures. 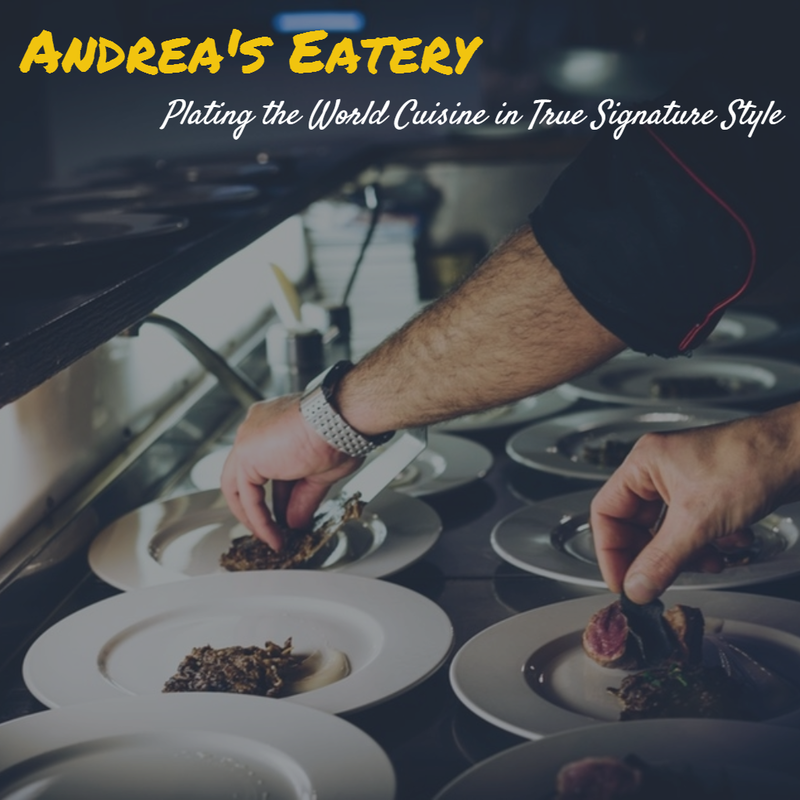 Being at Andrea's Eatery is all about family and friends; the warm, happy table shares the story of how Andrea explores cultures and cuisines through his travel exploits, bringing his favorites home for us to experience. Being a fourth generation hotelier himself, Andrea creates a space that is committed to the use of fresh, organic ingredients in all dishes. The friendly service is like the icing on the cake. Everything at Andrea's Eatery is made with a lot of love. 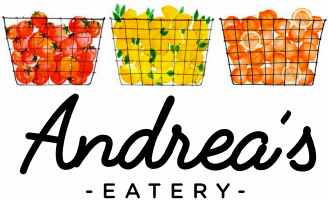 The three baskets in their logo is a good case in point, signifying the food, Andrea's personality, and the eatery. The food: Nutritious, wholesome, and organic food at Andrea's Eatery is carefully created with the freshest produce. Andreas's Personality: A hedonist and avid adventurer, Andrea is passionate about discovering different cuisines through his travels. 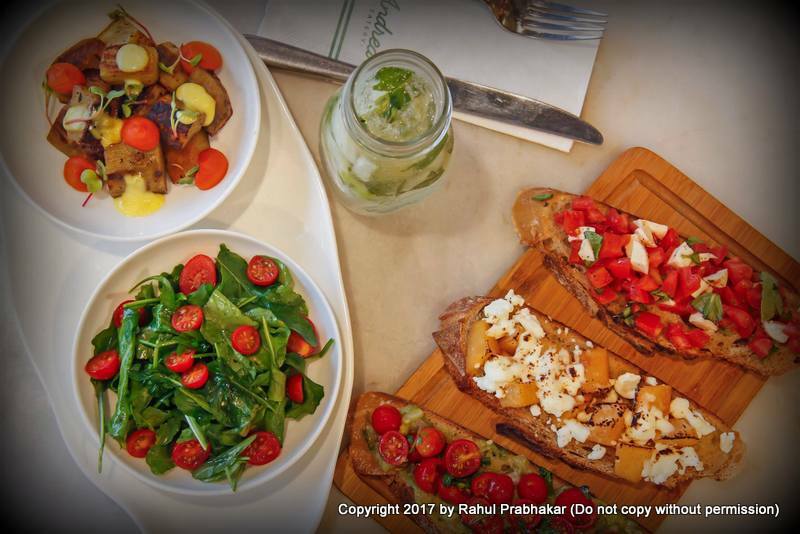 The Eatery: Inspired by the belief that the world is a canvas, the eatery paints a picture of Andrea's travels through innovative food, exotic interiors, and a thought out menu that keeps evolving. The travel inspired menu is simplified into categories, containing dishes that are grouped according to origins of the produce. Select from one category or all, have the whole dish to yourself or share it with others. You can't really go wrong, as they've done all the hard work for you! 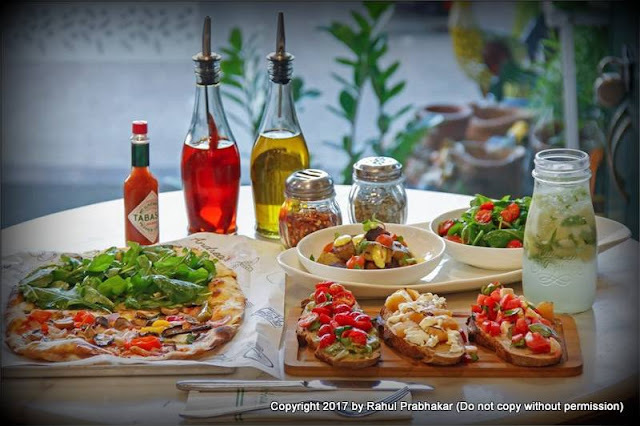 Choose from the sharing platters full of yummy goodness or explore the multitude of options from the Greens and Orchard section which features salads made with organic produce. Try the indulgent Pasta Bowls, signature Pizzas and Mains inspired from the land, sea, dairy farm and vegetable garden. My recommendation would be to start with some spicy Ibiza style prawn Ceviche and follow up with Tokyo Style Salmon Carpaccio. Take a tour to the streets of Indonesia with the gorgeous Gado Gado salad. Go for the slow braised Caramel Pork on sticky jasmine rice, topped with organic wok tossed snow peas and burnt garlic. I also loved the butter garlic prawns that were pan seared with butter garlic, Anjuna style and served with Vindaloo potatoes. Everything served at Andrea's Eatery seems fresh and bursting with flavors. Each ingredient they've used is for the purpose of creating a balanced and an elevated dish that can be enjoyed at any time of the day. 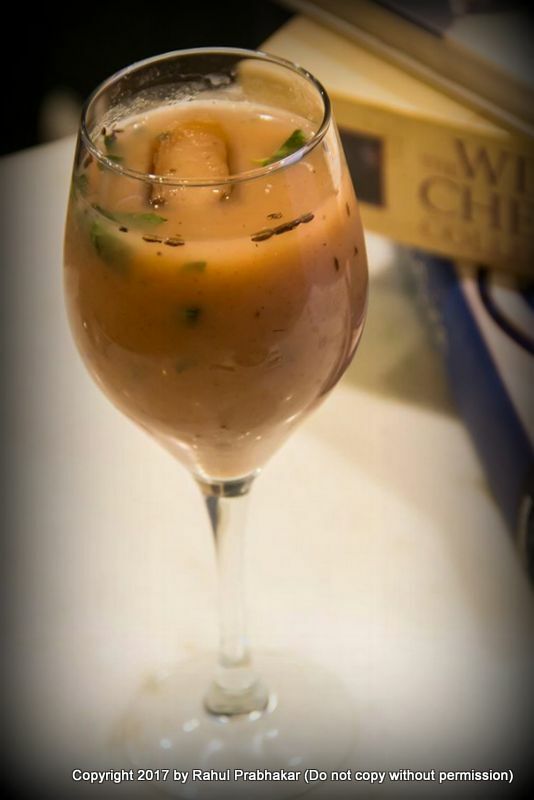 Andrea’s Eatery is plating the world cuisine in true signature style. Dig into your favorite dish and take a culinary tour around the world!